Pre-eclampsia, FGR and PlGF in more- and less-developed countries: The diagnosis of pre-eclampsia by BP and proteinuria is of limited use as these are tertiary, downstream features of the disease. Similarly, discriminating between placentally-mediated FGR and constitutionally-small fetuses is a challenge in obstetric practice. PlGF is an angiogenic factor, a secondary marker of associated placental dysfunction of pre-eclampsia, with known low plasma concentrations in the disease. In the UK, women presenting with suspected pre-eclampsia at 20+0-34+6 weeks’ gestation, low maternal plasma PlGF concentration (<5th centile for gestation, Quidel Triage® assay) identified women who delivered with confirmed pre-eclampsia within 14 days (sensitivity 0.96 [95% CI 0.89–0.99], negative predictive value (NPV) 0.98 [95% CI 0.93–0.995]). In addition, in UK, Canadian and NZ women with suspected FGR, low PlGF identified placental FGR with an AUC ROC 0.96 [95% CI 0.93-0.98], sensitivity 0.98 [95% CI 0.91-0.999], specificity 0.75 [95% CI 0.68-0.82] specificity, NPV 0.99 [95% CI 0.95-0.999] and PPV 0.59 [95% CI 0.48-0.69]26. Low PlGF outperformed other variables in predicting placental FGR. Very low PlGF (<12 pg/mL) was associated with shorter sampling-to-delivery intervals than normal PlGF (13 vs. 29.5 days, p < 0.0001). 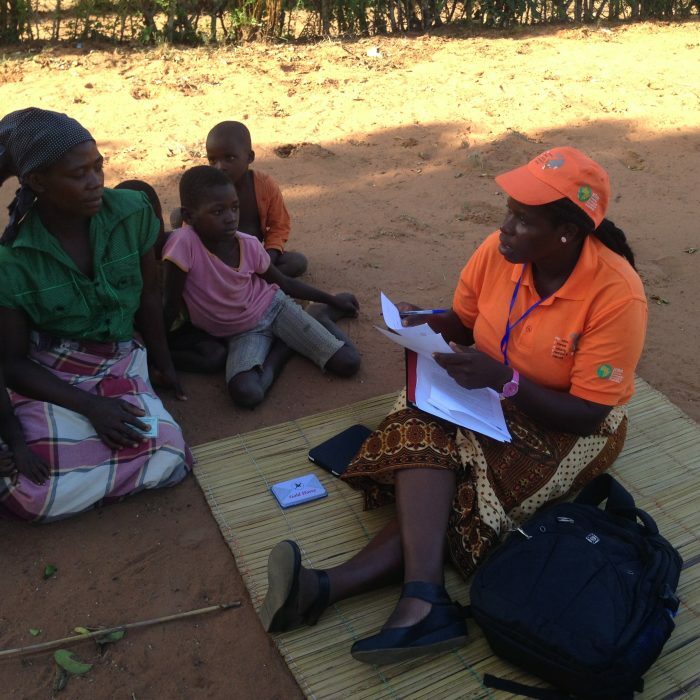 In a less-developed country, we studied maternal plasma PlGF in women with suspected pre-eclampsia attending two antenatal clinics in Maputo, Mozambique. The clinic-to-delivery interval was shorter in low PlGF, compared with normal PlGF, women (median 24d [IQR 10-49] vs 44d [24-81], p=0.0042). Also, low PlGF was associated with a confirmed diagnosis of pre-eclampsia, higher blood pressure, transfer for higher care, earlier gestational age delivery, delivery within 7 days and 14 days, preterm birth, Caesarean delivery, lower birth weight, and perinatal loss. PlGF & stillbirth: Unpublished pilot data from PRE-EMPT’s Global Pregnancy Collaboration show that in 45 women destined to suffer a stillbirth, the gestational age-corrected median plasma PlGF was 0.012 multiples of the median compared with >1000 normal pregnancies (p=0.004). In addition, in recently-published data from Maputo, one-third of women with both pre-eclampsia and PlGF <50pg/ml suffered a stillbirth. In PRECISE, we will not only utilise PlGF, but source additional funding to carry out an ‘unsupervised’ biomarker programme to develop new tools for prediction, diagnosis and management with potential for point of care testing. The existence of these cohorts will greatly facilitate the sourcing of leveraged funding from UK and global partners. PRECISE will confirm or refute our a priori hypothesis that screening pregnant women for placental health can identify women at risk of stillbirth. PlGF is our initial biomarker of interest, using a random 20%. Of PHC samples and all time-of-disease samples PRECISE will also aim to improve the performance of the PIERS models with biomarkers, starting with PlGF. The planned PRECISE biobank affords an opportunity to identify and test other time-of-disease biomarkers for potential in stratifying individual women’s risks. For example, accurate diagnosis of pre-eclampsia is difficult in women with chronic hypertension, a common co-morbidity in pregnant Black African women. We will use the CoLab’s standardised protocol for placental sampling and tissue storage. Placental samples will be taken at a single sentinel rural and urban site per country due to logistical issues. Initially, basic histology will be used to compare samples from normal pregnancies with similar samples banked within the CoLab. Gene expression studies will be performed, and comparisons made. Of particular interest will be changes in expression of genes key to placental growth and function including angiogenic factors, transport proteins and markers of cellular stress. In addition, all samples will be screened for evidence of acute or chronic viral, bacterial and parasitic disease and compared with serology. Expression of array-identified proteins will be assessed by immunohistochemistry.